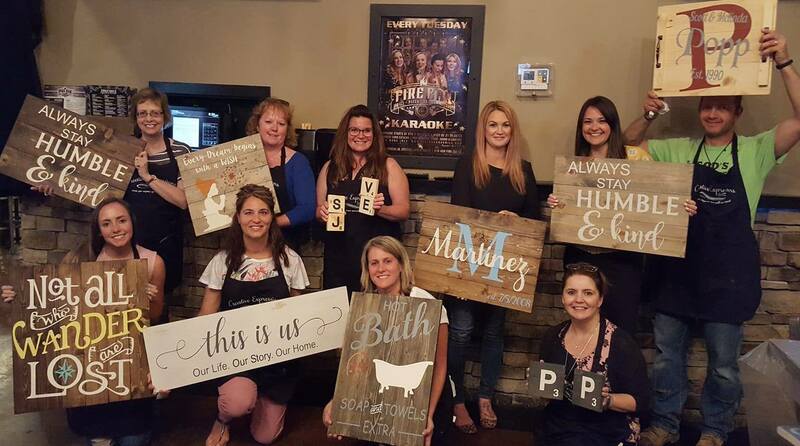 You may have seen the wooden signs your friends have crafted – they’re unique, fun, & beautiful! You Must pre-register to have your personalized materials prepared for you. You will get to take home a wonderful piece that you created! Choose from any of our designs or have us custom design something for you! PLEASE KEEP IN MIND THAT YOU MUST SIGN UP AHEAD OF TIME SO YOUR MATERIALS READY FOR YOU! Please check out the Gallery page on our website to see designs and prices. Cost depends on size of sign ranging from $50- $120. Custom designs may cost $20 more for design time. Please check out the Gallery page on our website to see designs and prices.